When it comes to vintage Datejust watches any dial color other than silver is instantly more rare due to the fact that the silver colored dials were amongst the highest ones in production. 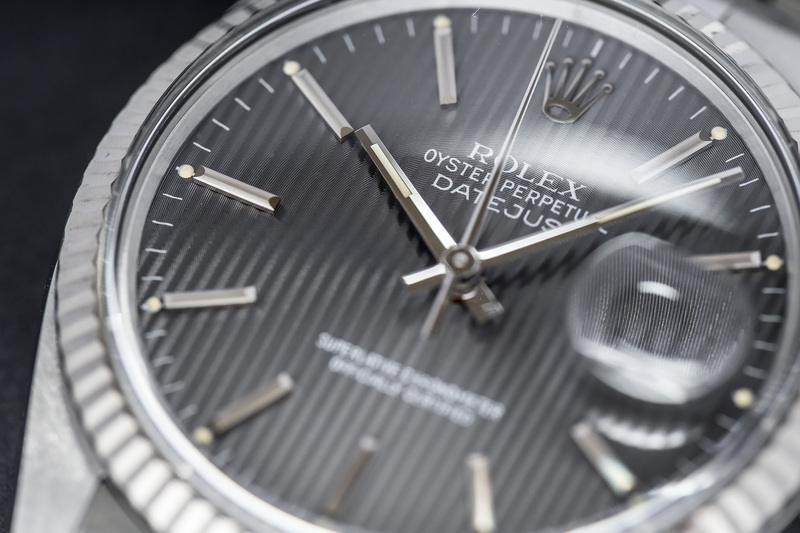 Its even more cool to find a dial with a little bit more extra, like a linen or textured dial for example (for a beautiful linen dial Rolex click here). Another great example of such dial with that ‘bit of extra’ is this grey Tapestry dial seen here. 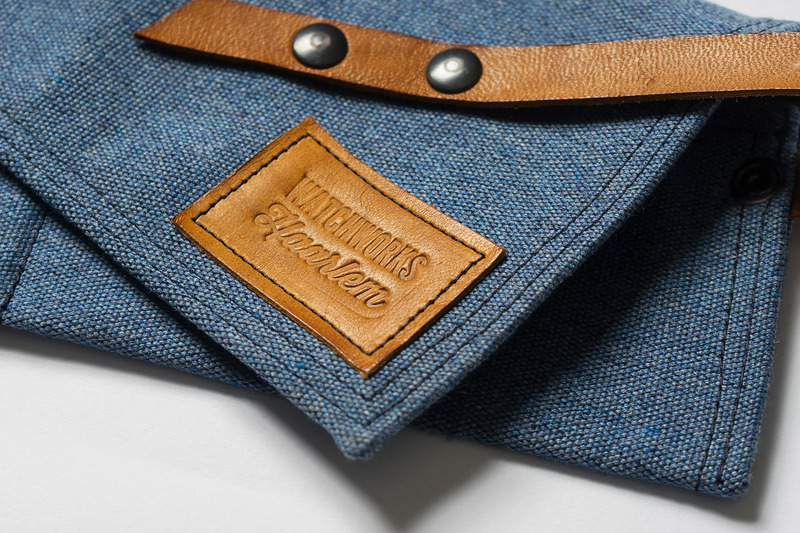 With its vertical lines this dial radiates different hues of grey with almost gradient like characteristics. Each vertical line which makes up the tapestry pattern is raised and also consist of very small horizontal lines inside the initial vertical line itself! When viewed up close this finish is truly amazing! 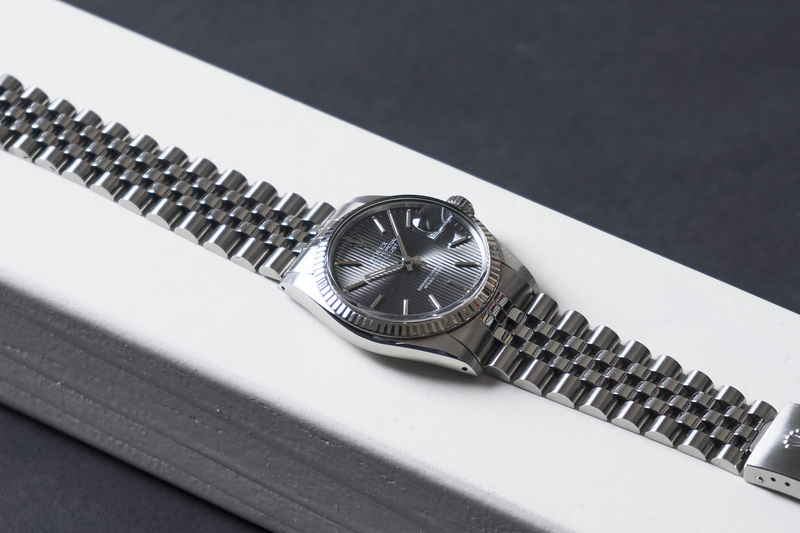 The combination of these vertical and small horizontal lines in this particular color grey, ensures that this Tapestry pattern truly comes to life on the wrist. 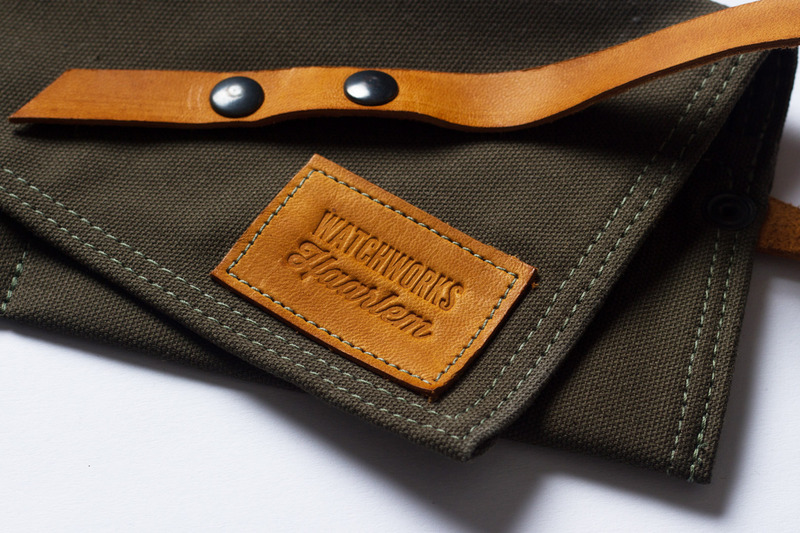 When the light hits the Tapestry pattern it bends and plays with the color, making it seem the dial is mouse grey at some point and anthracite the other – very cool! 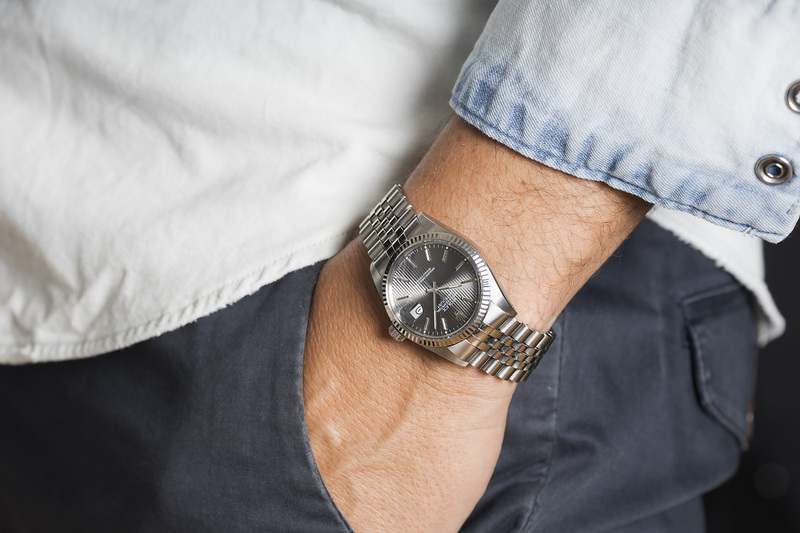 Because of this, at certain angles the dial can seem light grey at the center and getting darker outwards to the edge of the dial – This watch won’t get boring quick! 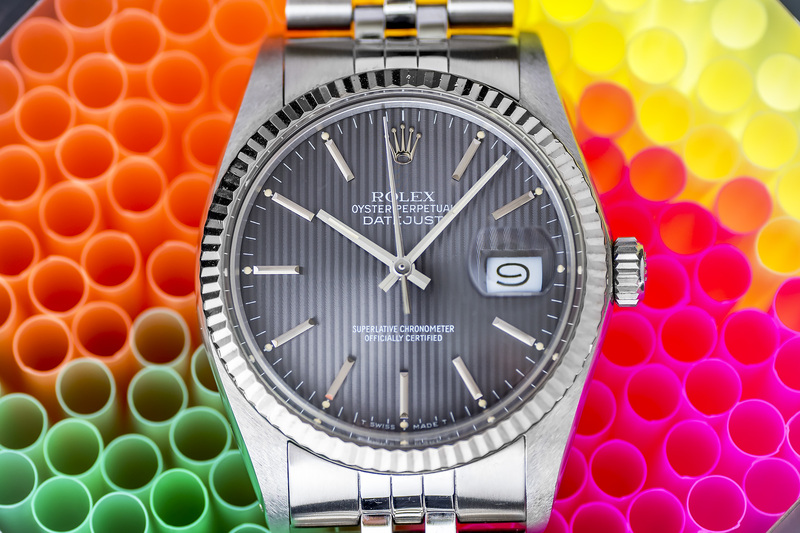 This 1988 Datejust is in an excellent condition with a very strong and beautiful case. 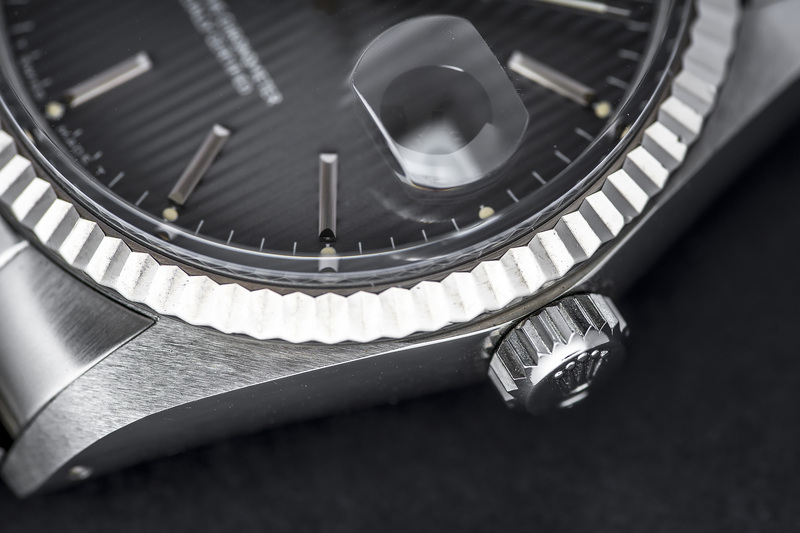 The 18c white gold bezel is sharp and simply looks excellent. 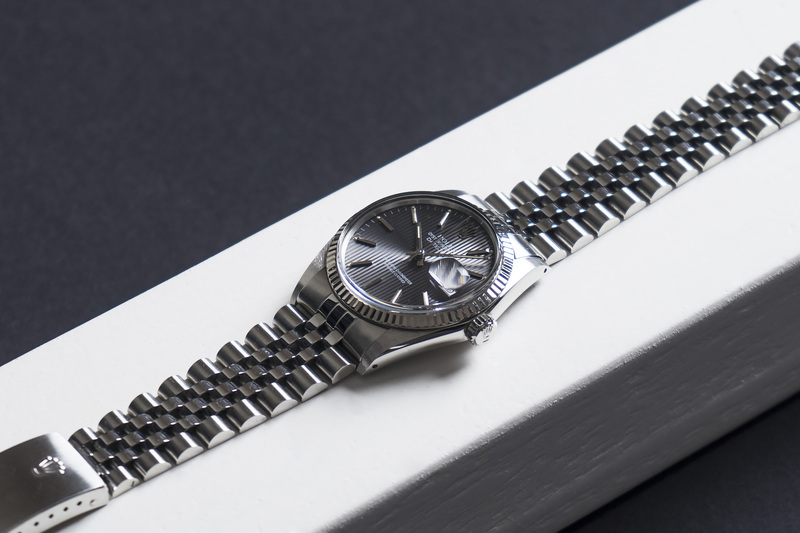 The grey dial is decorated with 18c white gold stick indexes and the 62510H Jubilee bracelet has little stretch with all links present (full bracelet). 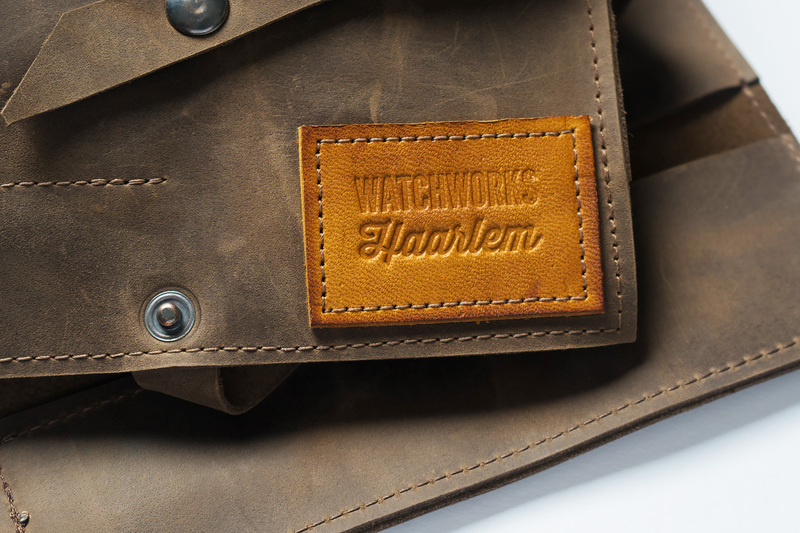 The entire 3035 movement has been serviced and waterproof tested by our watchmakers. This grey stunner will be sold with a 12 month warranty.